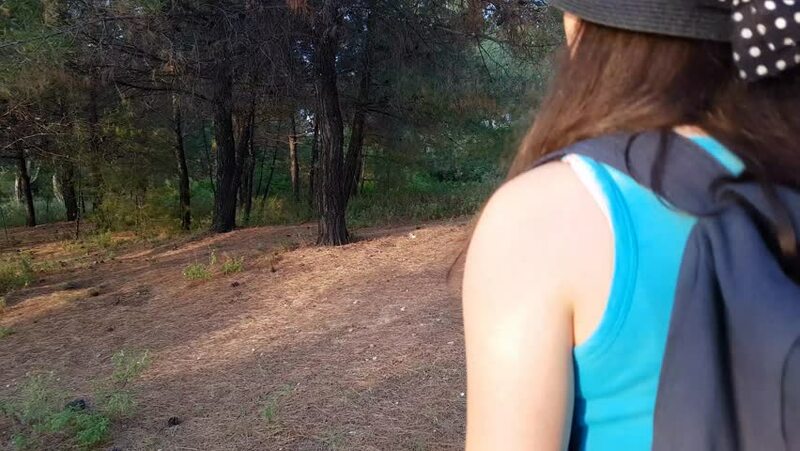 Young brunette woman with a hat and backpack walking and exploring seaside woods during summertime, while the camera faces her back. hd00:14A woman in sunglasses stands against the background of green trees. 4k00:10Beautiful blonde girl laying on the beach in red bikini. 4k00:07A young woman experiences pain in the knee joint, she blows on the bleeding leg wound after riding a bicycle. The girl is very hurt, the tourist is swinging sitting in the grass in the forest. 4k00:17Makeup vlogger influencer creating cosmetic product explainer video. Young woman is filming a new episode for her personal make up vlog. Recording live tutorial video. Recording vlog on smart phone. 4k00:13Young Caucasian woman in gloves using a smartphone in winter time. 4k00:16Female feet walking on the zebra crossing in pink sneakers and jeans. First person POV.